Lloyd Frederic Rees was born at the family home Avalon, in, Yeronga, a suburb of Brisbane. His ambition to study architecture was frustrated by a weakness in maths and physics. After leaving school in 1911, he worked as a clerk until 1913 when he was appointed Junior Artist on the staff of the Queensland Government Printing Office. At this time he attended evening art classes at Brisbane Technical College under the tutorage of Godfrey Rivers, Martyn Roberts, and L.J. Harvey who were all influential in his development. Here he gained his first exposure to the coloured reproductions of Turner, Corot and Constable, drawings of Italy and photographs of the great buildings of Paris, all of which, and especially Corot, made lasting impressions on the young Rees. In 1931 he married Marjory Pollard, and together they built a home at Northwood, on the Lane Cove River, which was to be a focal point for Rees for several decades. Until 1946 he worked mainly as a freelance commercial artist (which included designing two of the floats for the Opening of the Sydney Harbour Bridge) and in the early 1940s, he also taught drawing at evening classes at the Sydney Technical College. In 1946 he was appointed as a part-time lecturer in the Faculty of Architecture at the University of Sydney teaching Drawing and the History of Art. This appointment gave him more time to concentrate on his own work, and he freely acknowledged the valuable stimulus that he received from the students that he taught. He continued to teach there for the next forty years, giving his final lectures at the end of 1986. In 1942 he joined the Northwood Group of painters. In 1952-53 Lloyd Rees visited Europe again, this time with his family. San Gimignano and the light tone of Italy encouraged him to lighten his palette, aided by the discovery of lead-free titanium white. This caused a marked change in the tone of the work, the blue in particular becomes a much higher tone. 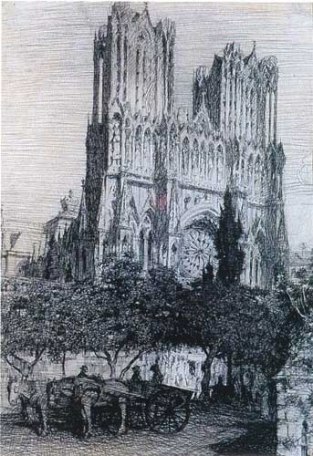 He returned to Europe in 1959, 1966-67, and in 1973, when Chartres became the major subject. When working overseas Rees concentrated on sketches, drawings, watercolours, and occasionally, oils. 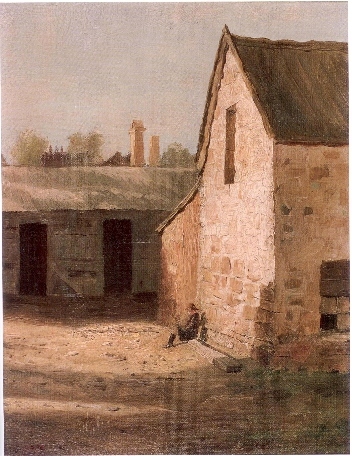 He developed many of the sketches into fully worked up oils on his return to Australia. At home, his favourite locations included the Sydney environs, Bathurst, the Illawarra, Central Australia and Tasmania. Rees loved nature and strived in much of his art to capture every day beauty. Like Cezanne and Corot, he used a meditative approach observing details over time. Lloyd Rees was a member of Society of Artists 1932, later Vice President then President and a Foundation member of Australian Academy of Art 1938. Inaugural Jack Manton Prize, Brisbane, winner. Kolenberg, Hendrik, ''Lloyd Rees in Europe: Selected drawings from his sketchbooks in the Gallery's collection'', Art Gallery of New South Wales, 2002.